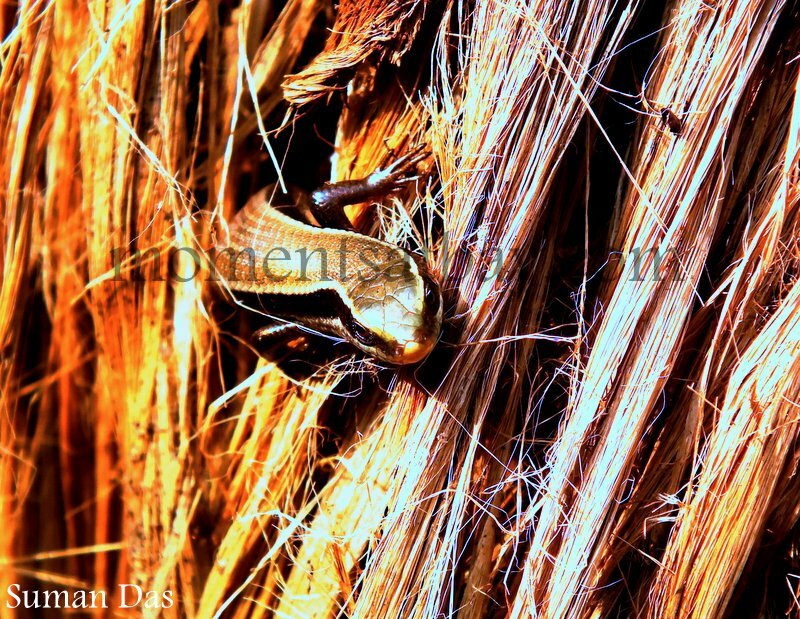 I found this exquisite lizard in a stack of straw where it was perhaps basking in the warmth of the wintry sun that was naturally very mellow and smooth upon its scales. The brilliant sheen that emanated from its golden body made it look like all mantled with metallic armour. But the sharp eyes and the agile limbs gave it an invincible appearance. It could easily camouflage itself amidst the dry straws, but when something moved on the surface of the stack, and upon my probing into the curious movement, i met this!! The sight simply held me spellbound.